Doug joined Meriwether Advisors as Principal in September 2013, bringing over 18 years of experience in the commercial real estate industry to the Seattle company. From 2000 to 2013, Doug served as Co-founder & Principal of ATREG, Inc. where he represented clients in over 35 transactions and strategic advisory assignments involving several million square feet and US$3.5 billion in assets in the USA, Europe, and Asia. 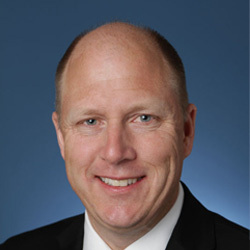 Prior to ATREG, Doug was a Senior Vice President within Seattle-based real commercial estate company Colliers International and Director of Colliers International’s Corporate Services Group. Doug is a two-time recipient of the Colliers International President’s Award for outstanding client service, given to only one Colliers professional globally every two years. A licensed attorney, Doug earned his Juris Doctor degree from the University of Washington’s School of Law in Seattle, USA. An executive with more than 35 years of experience in the semiconductor industry, Goto-san joined NEC in 1970 after graduating from Tokyo University, Japan with a B.S. in Applied Physics. He served as Managing Director of NEC Semiconductors UK from 1998 to 2002. In 2004, he became a board member and Executive Vice President of NEC Electronics, responsible for manufacturing and technology development. Goto-san retired from the NEC group in 2007. Allen Lu currently serves as President & CEO of Mattson Technology, Inc. whose headquarters are located in Fremont, Calif. Prior to that, Allen was President of SEMI China and Vice President of Global SEMI, responsible for the association’s programs, products, and services in China covering the PV, LED, display, and semiconductor industry sectors. He oversaw relationships with SEMI members, government, and academia in the region, supported SEMI international programs, and served SEMI members from all regions that have interests in China. Allen has access to a vast network of government leaders and industry decision-makers, advising such regional governments as Beijing, Chonging, Shanghai, Sichuan, Xinjiang, and Inner Mongolia in high-tech industry development. Prior to joining SEMI as Regional President, he served as the China Fab Program Manager of Intel’s Technology Manufacturing & Engineering Group. He was Director of Intel’s China Public Affairs in Shanghai for four years, during which he built Intel’s first public affairs organization in China. He also managed government affairs, community relations, as well as industry and university collaborations for Intel’s expanding manufacturing and R&D operations in China. Allen was a key member of the management team that led Intel’s major investments in China, including an assembly and test facility in Chendu, Intel’s China regional headquarters and APAC R&D Center in Shanghai, and the first Intel 300mm fab in Asia established in Dalian. Before that, Allen had many years of technology, management, and supply chain development experience in Silicon Valley where he worked at Intel’s California Technology & Manufacturing Group as well as Applied Materials. He began his semiconductor career as a Research Scientist at Northwestern University and North Carolina State University. He holds a B.Sc. from the University of Science & Technology of China and a Ph.D. in Solid State Physics from the University of Virginia. He also holds four U.S. patents. 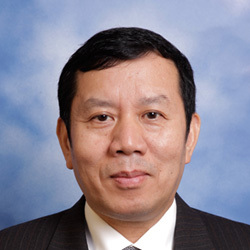 Allen is Vice Chairman of the Chongqing IC Industry Alliance, an Executive Member of the Council, China Liquid Crystal Display Association, an Executive Member of the Council, Shanghai IC Industry Association, a Special Advisor to the Sichuan Government on Investment Promotion, a Senior Advisor to the Municipal Government of Huhhot, and a Shanghai Government Honorary Ambassador of International Conferences. 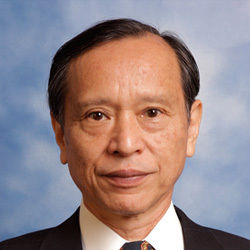 He has served as the President of the North America Chinese Semiconductor Association from 2001 to 2002. 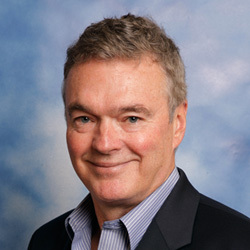 Malcolm founded UK semiconductor industry analyst firm Future Horizons in 1989. He has over 50 years of experience covering all aspects of the semiconductor and electronics industry, including new business development, management, manufacturing, marketing, and design. Prior to creating Future Horizons, Malcolm served as Vice President & Director of European Operations for Dataquest (now Gartner), responsible for establishing and running all European research operations. Prior to that, he worked as Manager of Component Engineering for ITT Europe (now Alcatel) and before that held various operations and marketing management positions with ITT Semiconductor Group (now Micronas and General Signal), including Executive Director of ITT’s UK-based front- and back-end semiconductor operations. 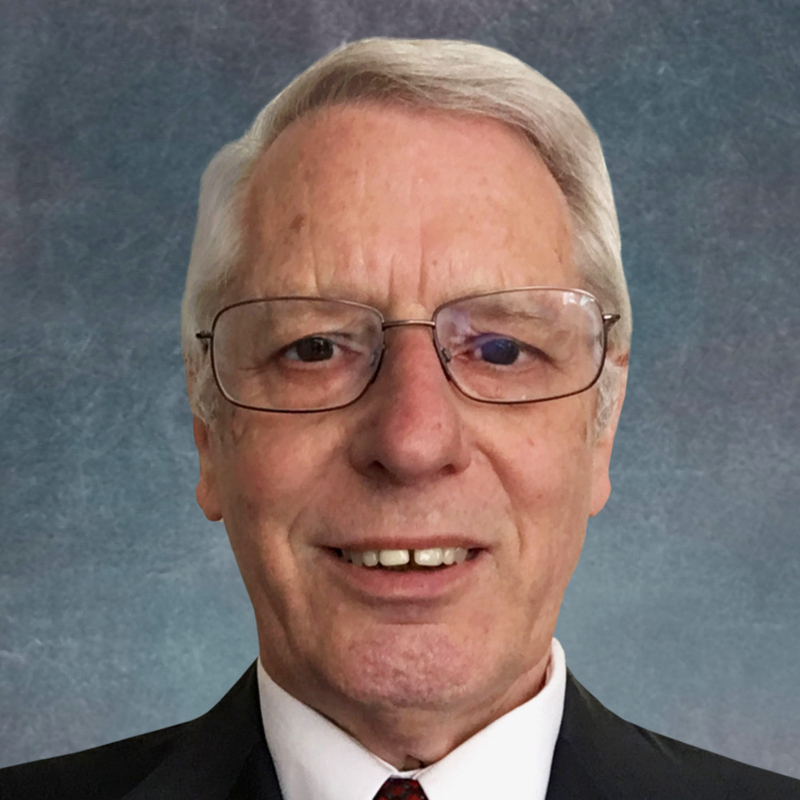 Prior to ITT Semiconductors, Malcolm served as a Systems Design Engineer at Venner Electronics, a UK company specializing in the design and development of electronic measurement instrumentation. Malcolm graduated with honors in Electronics Engineering from London South Bank University, UK. Sagar serves as Vice President, Business Development for Specialty Technologies at TSMC North America. Prior to that, he was CEO of TSI Semiconductors, a niche, specialty analog mixed-signal foundry focused on technologies and manufacturing services serving emerging market products. For the past 25 years, Sagar has held executive and senior-level operations, engineering, and technology management positions at such analog mixed-signal companies as Intersil, Maxim, National Semiconductor, Saratoga Semiconductor, and AMD. Previously an Operating Partner at Khosla Ventures, Sagar continues to serve in board and advisory roles for many system and medical device companies. In addition, he has held board positions in various industry consortiums, including the Global Semiconductor Alliance (GSA) and the Fab Owners Association (FOA). Sagar’s mix of experience from technology development to manufacturing gives him a well-rounded view on how to innovate, adapt to new environments, and serve customers that are on the leading edge of technology. Even on the weekends, you’ll find Sagar in coffee, lunch, and wine settings, learning about new businesses and how they operate. Sagar thrives on working with customers of all sizes, helping them explore new breakthrough technologies and achieve operational excellence. Sagar holds a Bachelor of Technology degree in Chemical Engineering from the Indian Institute of Technology in Madras, India, and a Master’s of Science degree in Chemical Engineering from The University of Kansas, USA. Jack is an executive with over 35 years of experience in various high technology areas. He has served as Chairman & CEO of Vitex Systems, President, CEO & Director of Three-Five Systems as well as Vice President & General Manager of Advanced Micro Devices’ European Electronics Center in Dresden, Germany. The campus included a 200mm wafer production facility, a design center, and all the necessary infrastructure groups required for a stand-alone manufacturing site. In 1966, this initial $2 billion investment was the single largest investment in the state of Saxony, Germany. Today, AMD has invested over $5 billion into the Dresden site and the city has become the microelectronics center of Europe. As part of his efforts in Dresden, Jack was instrumental in founding the Dresden International School which in 2007 had over 500 students enrolled from 30 different countries. From 1993 to 1996, he was responsible for establishing AMD’s first 200mm wafer manufacturing facility (Fab 25) in Austin, USA. As Vice President, he was responsible for all aspects of bringing the advanced silicon microprocessor fabrication facility online, including facility design, construction, and technology transfer. Jack currently serves as a Director on two public company boards – Immersion Corp. (IMMR) which develops, licenses, and markets haptic technology and products, and Atmel Corporation (ATML) which designs and manufactures a variety of integrated circuit products. Jack is also a member of the Manufacturing Advisory Board for Cypress Semiconductor. David is CEO of Sensors in Motion (SIM) which develops the best-performing MEMS-based sensors and systems, representing a paradigm breakthrough in sensor technology. 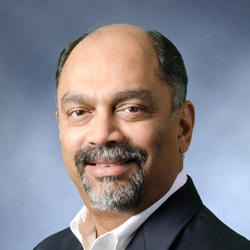 Prior to SIM, he served as Managing Director of Boeing Ventures, Founder & Interim CEO of Exostar, as well as President & COO of a Berkshire-Hathaway portfolio company. Prior to that, David was an executive at Boeing, managing corporate strategy, M&A, development, as well as energy and environmental affairs. David sits on the boards of several profit and non-profit entities. David started his career with a degree in Civil & Environmental Engineering from the University of Wisconsin-Madison whose advisory board he is a member of. 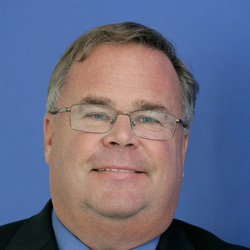 He lectures at and is a board member of the University of Washington’s Foster School of Business Buerck Center. He was named U.S. Congress Employee of Excellence, honored by President George H. Bush, and received the University of Wisconsin’s Distinguished Achievement Award. Ronald began his career with KPMG in 1976 and was admitted into the partnership in 1986. He has served as an SEC Reviewing Partner, one of the firm’s senior technical positions, and has extensive experience serving the needs of a wide variety of Fortune 1000 companies in the technology industry. 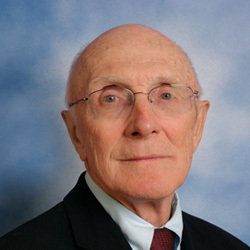 Ron worked as Global Leader of KPMG’s semiconductor practice. He presents at various trade associations and client conferences related to the global semiconductor industry. After working for the firm for the past 37 years, Ron retired from KPMG on December 31st, 2013. He serves on the board of directors as well as the audit, governance, and nominating committees of the Overseas Shipping Group (OSG), an international marine transportation company.